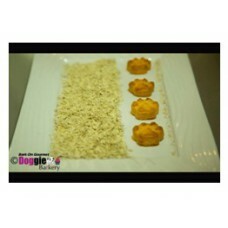 Our vegetarian fellows can also join the pack with the healthy oat cookies. Light to eat and crispy all the way, these cookies deserve to be taken home in a doggie bag. Oat Flakes, Milk Powder, Oil, Honey, Water and Rosemary Extract.